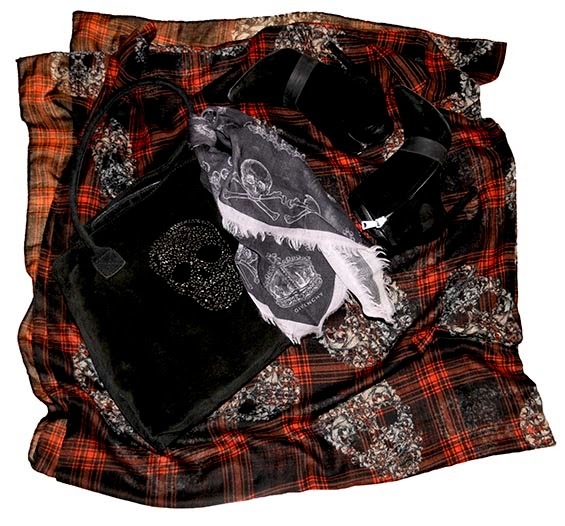 I am bundling up my new oversize plaid and skull scarf and playing in a bit of dark outfit with other skull printed accessories. Seems I have been hypnotized by skull. You really know how to make skull super chic!!!!!! Love the scarf, very original! Cute! It can add some real fierceness to an outfit!